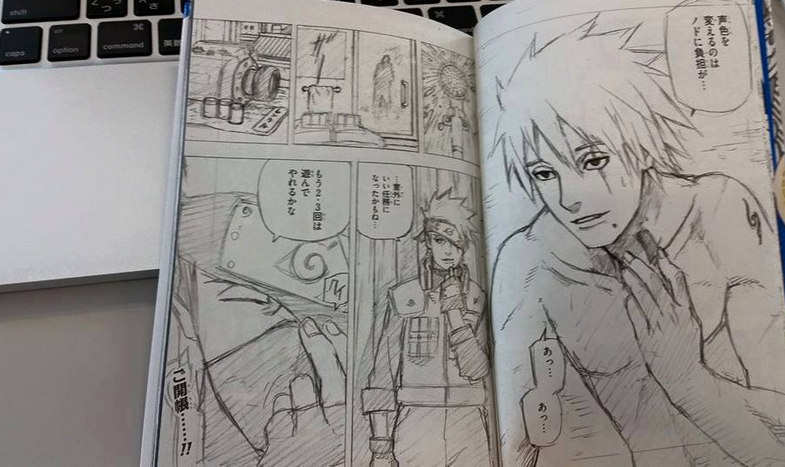 Word on the street is that Kakashi’s face would be revealed today (25th of April) at the Naruto Exhibition in Japan. Two new data books were to be released that would include the image. At first I was a bit hesitant at the idea as the allure is the total mystery. Of course it would probably just be a normal face, right? Then again there has to be something there to keep him wanting to cover it? Scar? Birth defect? Who knows. Maybe Kakashi is just a massive troll. This morning I noticed a picture surfaced that is apparently from one of the data books. It’s pretty amazing. If this is real it looks like he is just hiding a chiselled jawline and a mole. A mole! I think it actually works. My curiosity is gone but it was definitely worth it. What do you guys think? Is this legit? Do you approve or disapprove of his face? ← PWR – Playing, Watching, Reading.